I haven't been able to cook at all since my knee surgery. My days are spent at home on the Continuous Passive Motion machine (I have to rotate my knee with this machine a total of 8 hours a day). I am now almost 6 days post surgery and things are well! I look forward to my post op visit on Thursday to check on my knee and get a progress report. 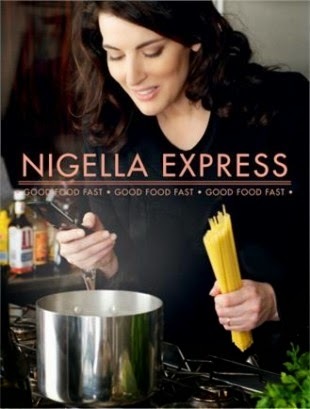 I love Nigella's recipe for quick chili! It is so easy and really delicious! 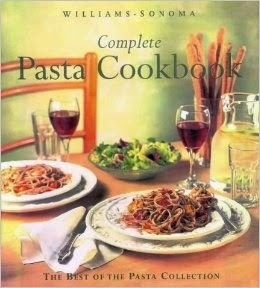 This recipe for spaghetti with homemade meatballs is so good!! 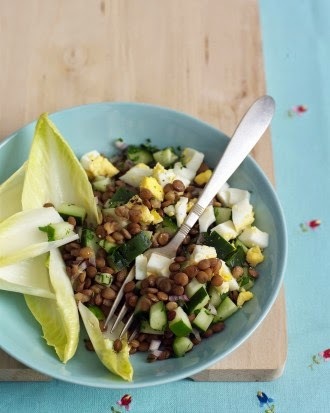 This recipe for Lentil Salad is super delicious! Great for lunch or as a main dinner course. 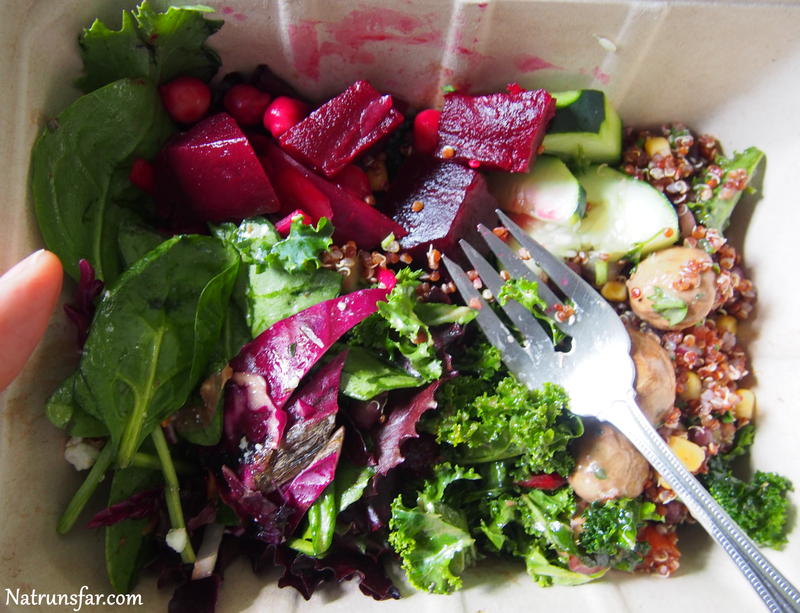 I love making this salad! 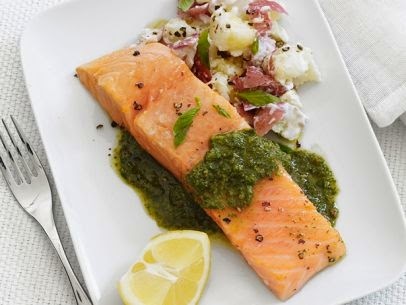 Try this wonderful Pesto Salmon and Potatoes recipe! I try to eat a serving of wild salmon at least once a week. 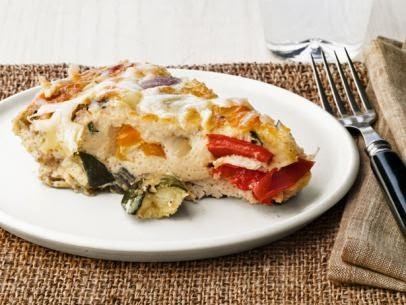 On the weekend, I love making this scrumptious Vegetable Frittata! If you need inspiration for new and refreshing recipes, give these a try sometime! With the Boston Marathon still fresh in everyone's mind, I fell in love with this amazing music video! It truly does capture the spirit of the marathon. You may want to have a tissue ready. Enjoy! How long do you spend making dinner each night? I spend at least 1 hour every day making dinner. I shop 2-3 times a week because we are always running out of fresh fruit and veggies!